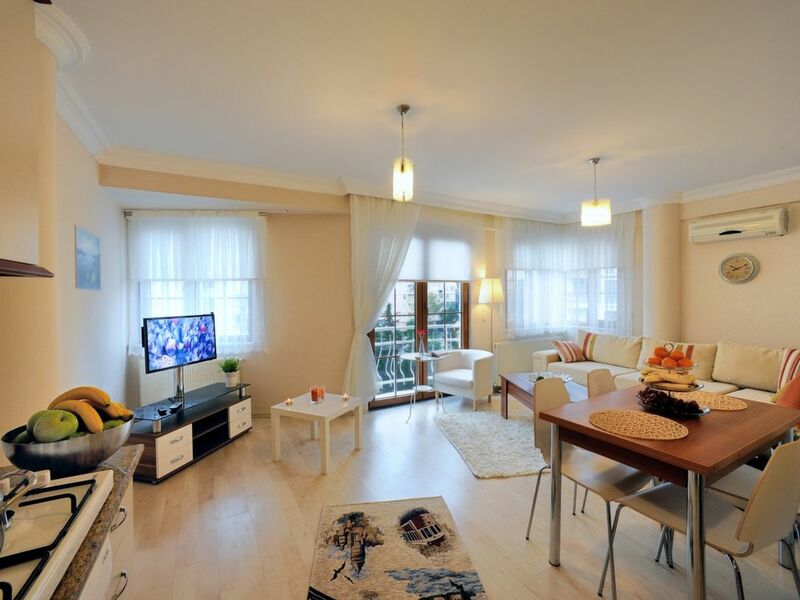 Istanbul Apart Point has been delicately designed and decorated for you to feel home comfort accommodation in Istanbul. Our customers are mostly families, businessman, company managers, fair attendees or visitors, and tourists who are seeking a warm home atmosphere for their short term visit. Istanbul Apart Point has LED TV, Refrigerator, Stove, Tea Maker, Kettle, Toaster, Microwave, Air condition unit, Washer, dish washer, Hairdryer, and Iron. Basically everything you would need during your short stay. We do have wi-fi and satellite for free of charge. The apartment has 1 bedroom with 1 queen size bed and 1 livingroom has sofa which might be double size bed.